About four weeks ago, my friend Natalie from my pattern cutting class brought in some fabric she had no use for to see if anyone wanted any of it. How kind! 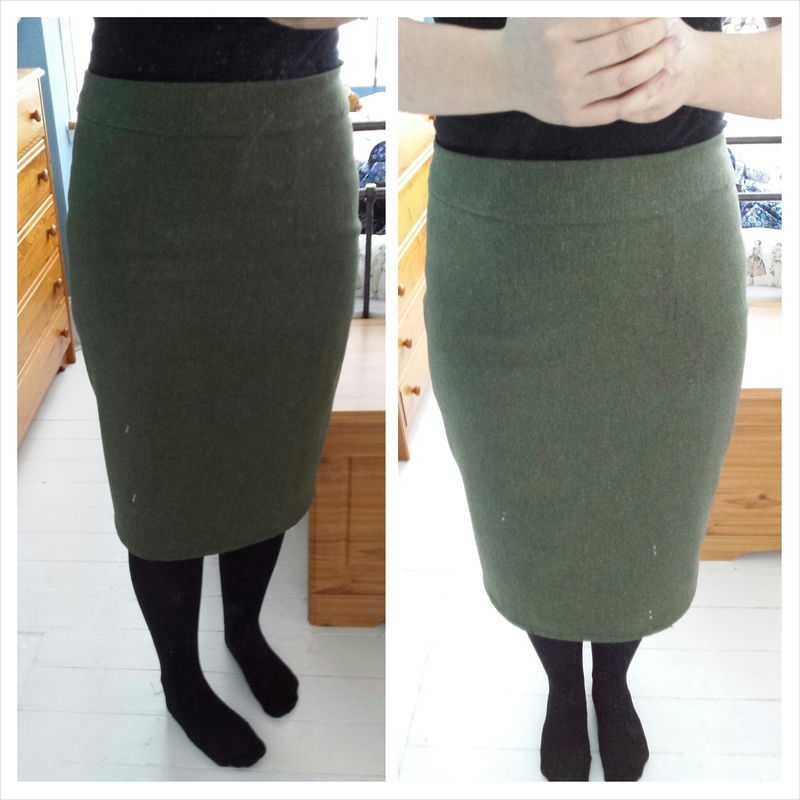 I spied some lovely green wool and in my head I instantly made it into a pencil skirt. I gratefully seized the fabric and then thought how nice it would be to actually make the pencil skirt and then wear it to class the next week for Natalie to see. I have ‘Gertie’s New Book For Better Sewing’ and I thought that the pencil skirt pattern in that would be pretty much perfect, but then I got to thinking… a pencil skirt is pretty damn simple…I should put my pattern cutting knowledge to the test and make my own pattern, that way it would be a learning experience and more of an achievement if I got it right. I wanted my pencil skirt to come below the knee, but, unlike Gertie’s skirt, I wanted mine to be fully lined, to have a kick pleat, and to sit on the waist rather than above it. I used my bodice block from my course as a starting point to get the waist and the hips the right size and the right shape. 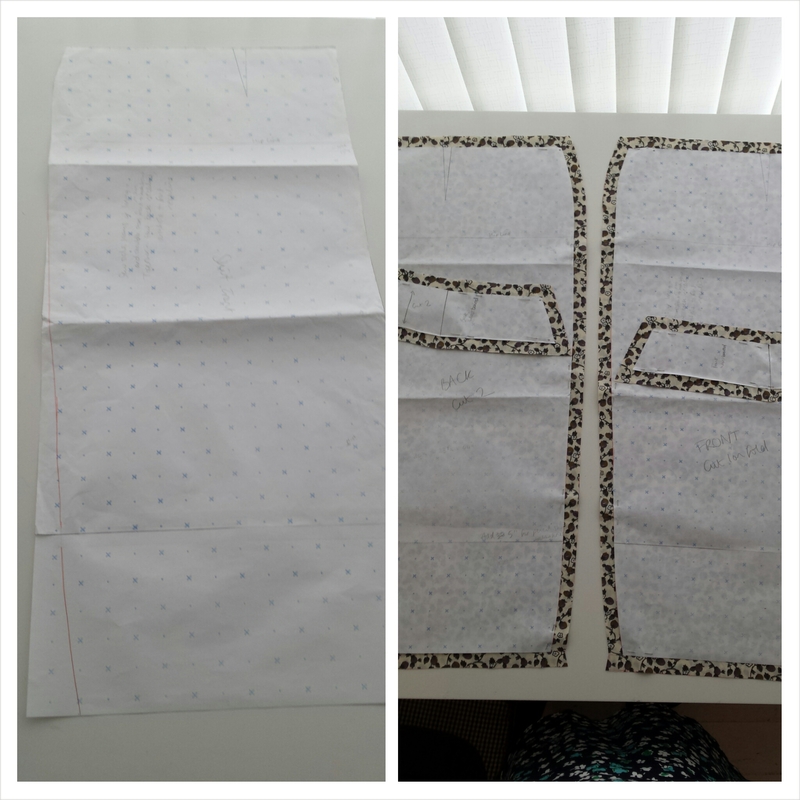 I then extended downwards from the hipline to my desired skirt length, and I figured out what depth I wanted my waistband to be and drew it onto the pattern. Once I’d cut out the pattern, I cut off the waistbands and closed the darts on them. 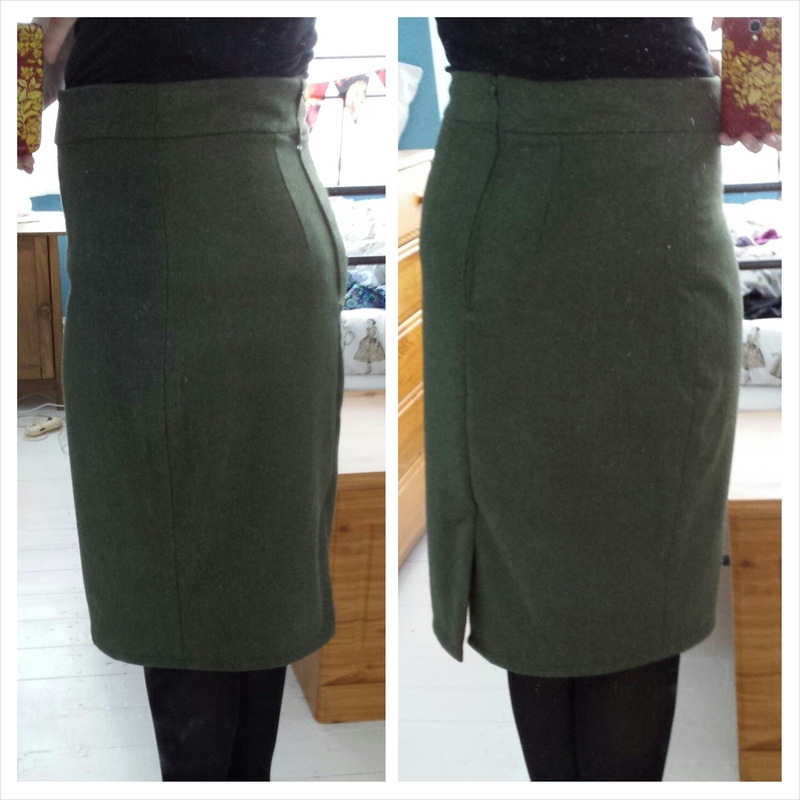 I started experimenting with tapering the side seam from the hip down to the hemline for a proper pencil skirt rather than a straight skirt. 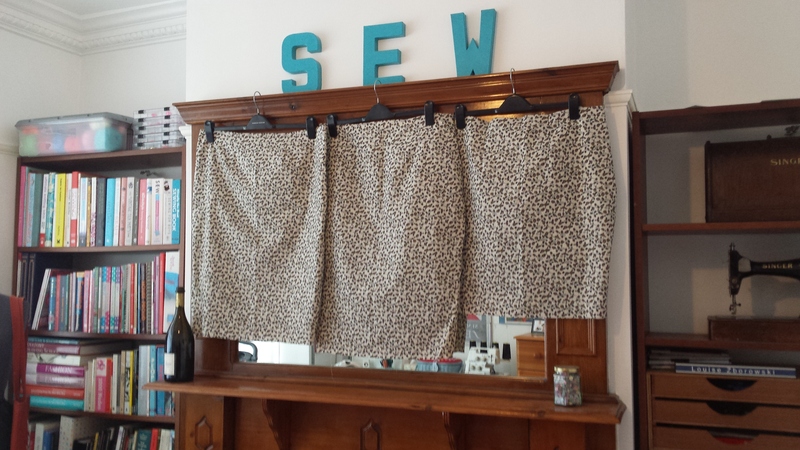 I then added my seam allowance and cut my first toile! 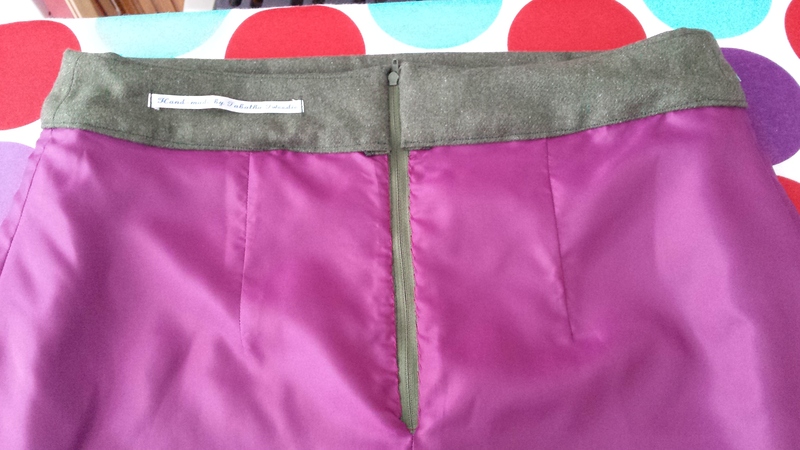 Tapering to the hem…and adding seam allowance before cutting! The first toile wasn’t quite right – I had to fiddle around with this curve quite a bit and ended up making three toiles! I used up fabric I got from a swap which I decided was too pale and muted for my usual tastes, and I basted in my zipper each time in order to properly check the fit. The final toile is much shorter than the first two, simply because I was running out of fabric! 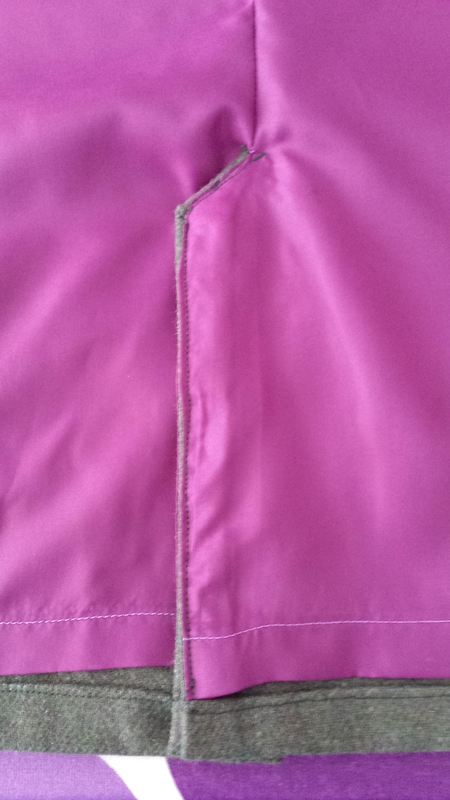 My plum coloured lining is anti-static so perfect for wearing with tights, which is of course what you need with a wintery woollen skirt. 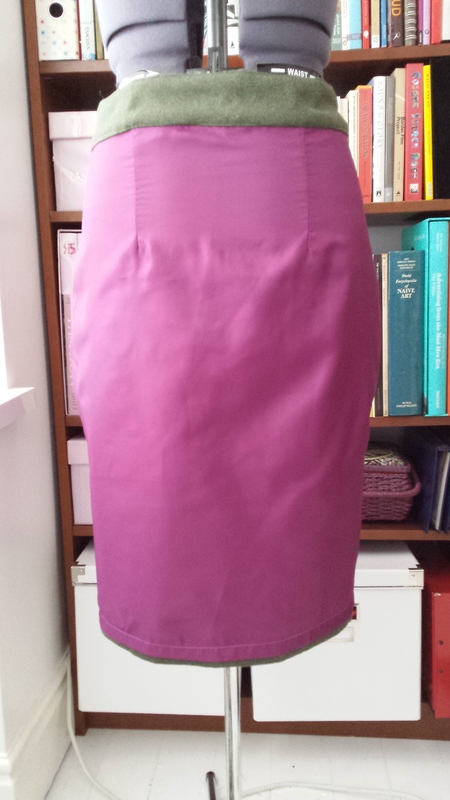 I was able to finish the skirt and wear it to college the very next week, and Natalie was really pleased to see that the fabric that had been sitting in her stash for a year or two had finally been made into a garment! Plus, my pattern cutting tutor Debbie was impressed that I’d done the pattern by myself. I thought she might be slightly scornful that it took me three toiles to get it right, but when I told her she said that was brilliant. I am super, super happy with the fit. It really is made to measure and fits exactly how I want. I’m really pleased with my little self for using my brain rather than just reaching for a pattern, and I want to keep trying to draft my own patterns, or parts of patterns, whenever possible. Obviously I’m not giving up commercial patterns – that would be ridiculous – but I’ll just keep doing the simple stuff for now! Anyway – tomorrow it’s the first of April, so I’ll be embarking on my ‘April Challenge’ for the fourth year running! Basically this means I set myself a goal of a certain time spent sewing each day during the month of April. It always gives my productivity a huge boost and I like having a reason to prioritise my hobby on a daily basis. In the past Leah and Julia have both joined in with the challenge, setting their own daily time slots – I think Leah committed to 30 minutes per day and Julia to one hour per day. I’m going to stick to my usual two hours per day, and if there are some days I miss it I’ll try to catch up. If you fancy joining in with the challenge, let me know in the comments below! Finally – on Saturday 5th April, Julia and I will be in London and we are meeting up with Vanessa of Sew Smitten at 10:30am at Walthamstow Central tube station. After reading the lovely Vicki Kate’s post about Walthamstow market I was pretty keen to go there myself! If you fancy joining us, let me know in the comments below! ← My March Minerva Make – Cocktail Dress! Damn this is fit like a dream! Wow! It’s pretty good, was worth the toiles! Oh your skirt looks lovely. 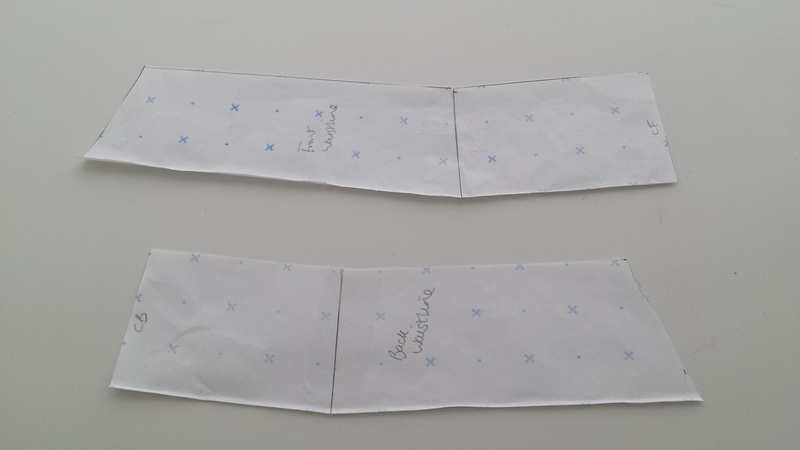 I’ve just started dressmaking and I’ve made a toile for bodice to a dress – I made two as the first was too short! I think it saves on time and fabric tears in the end! I’m also going to a pattern making class in June – I’m quite excited! Excellent! Good luck with the dress 🙂 Fab idea to sign up for a pattern cutting class – I bet you’ll learn loads! Well done! Great fit. Some years ago I wrote a tutorial on those pleats… Trying to make sense of burda instructions. It’s slightly different from your version. 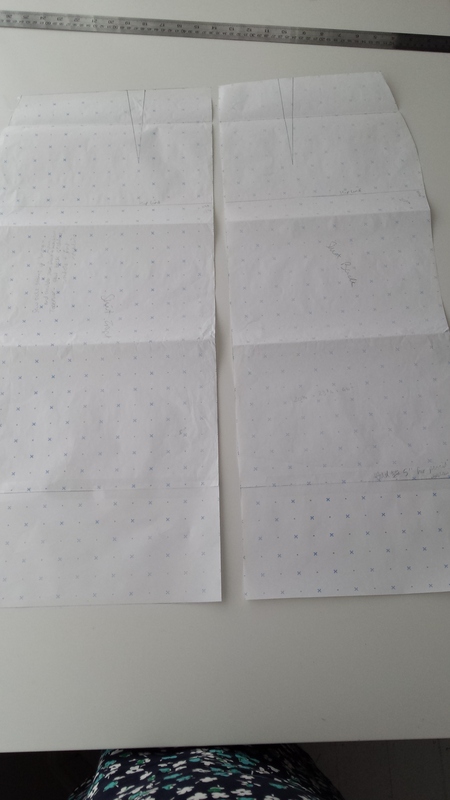 Drafting simple patterns is often easier than adjusting commercial ones. Well done! You’re right: altering patterns can be tricky. At least if you draft your own you know exactly what’s going on with it and how to change it! At is one stunning skirt! I’m in awe. Nice job – looks like a perfect fit!